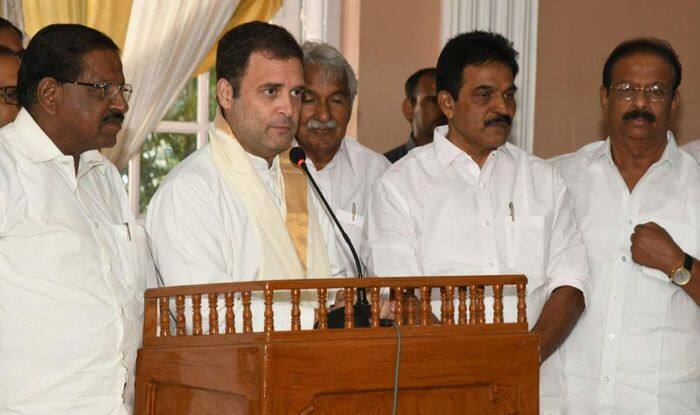 Congress chief Rahul Gandhi on Wednesday reached out to the people of Wayanad, saying he did not want to make false promises, but was committed to resolving their issues after hearing their “heart and soul”. Taking a jibe at Prime Minister Narendra Modi, Gandhi said he was not there to tell his Mann Ki Baat but to understand the difficulties, including the night travel ban, man-animal conflicts and lack of medical facilities, being faced by the people. “I am not like the Prime Minister.. I am not here to tell you that I will give you 2 crore jobs, Rs 15 lakh in bank accounts. I will give farmers and give them whatever they want.. I am not going to lie to you.. Because I respect your intelligence.. your wisdom,” Gandhi told a rousing crowd of thousands. The Congress chief said he wanted to represent Wayanad as the “beautiful place” that symbolises different ideas, cultures and that the rest of the country can learn from Kerala and Wayanad. “Once I decided to fight election from south India, I realised that Wayanad was the best place. Because it represents many many different ideas, cultures. Kerala is an example of peaceful co-existence. There is a lot that the rest of the country can learn from Kerala and Wayanad,” he said.